No really, this is a blog. No I’m not adding sequence to my jackets(for now)….I meant to say “Helio Sequence”! A new band I have been listening to that reminds me of A Band of Horses meets The Shins meets Arcade Fire? I like to think that they haven’t met and that they are their own band with their own style….yeah that’s what they are! Here’s a little playlist I put together. I called it 500 days of Mark a) Because I added “Sweat Disposition” which is on the soundtrack of 500 days of summer and b)I couldn’t find a season that was a guys name…Mark sounds like March that’s my reasoning. Yet, I don’t know any marks out there. 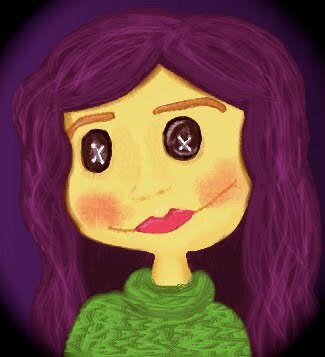 1) Yes I drew this, but not on Paint like I usually do. 1) Nothing happens for a reason…EVERYTHING happens for a reason! 3) Don’t underestimate the power of coincidences….I don’t know where I’m going with that…just that it supports my first note on life. 4) Stop and smell the flowers! Get off of the computer (The irony…) Leave your cellphone alone! Categories Banshee beat, Beer is awesome, Cry me an ocean, Do the icecream and cake, don't you?, I love life, Jelly Beans, Mark is not a man I know, Smile, Who let the dogs out? I am so tired I think its the beer? Whatever happened to the teletubbies?